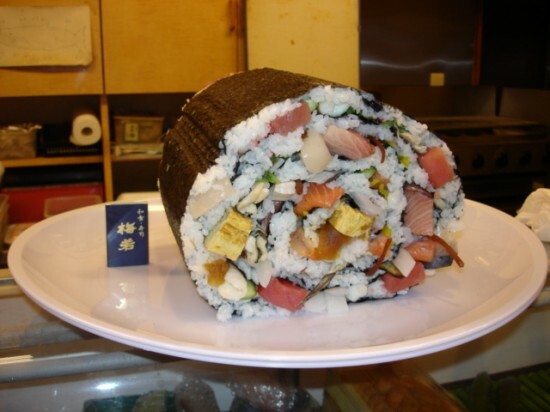 The Umewaka Restaurant in Anjo City, Japan serves the “Generous Roll”, a futomaki that weighs more than 13 lbs. 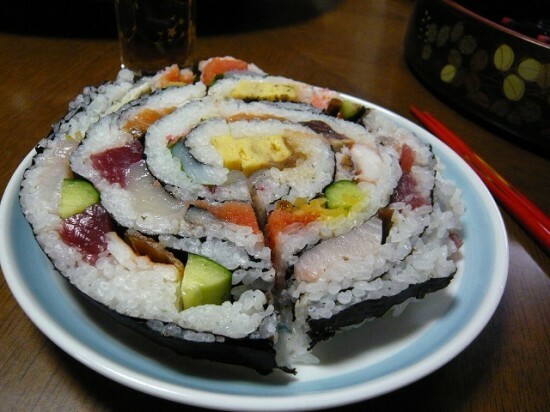 and has a diameter of almost 8″. The cost? About $200.